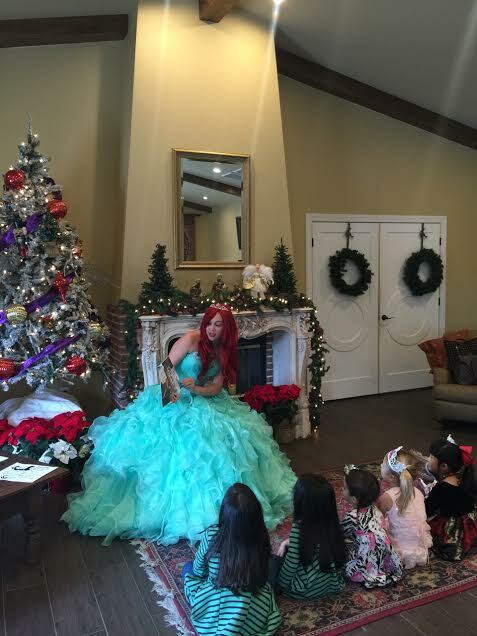 This December, Coup des Tartes will host a Princess Holiday Tea on designated Sundays beginning December 4. Participants can enjoy a fun-filled magical afternoon of holiday music, hot tea, cocoa, yummy treats and a visit from a very special princess. December 4 – 1:00 p.m.
December 11 – 11:00 a.m. and 2:00 p.m.
December 18 – 11:00 a.m.
Each tea will be limited to 40 people to ensure that everyone gets face time with Ariel. Each child will also receive a special gift. The tickets are $55 per adult and $35 per child, and advanced purchase is required. Coup Des Tartes is a charming, 18-year-old, French bistro-style restaurant reminiscent of la belle epoque and the Roaring ‘20s, Paris-style. Now in its new home at 1725 E. Osborn Road in Phoenix, Coup Des Tartes maintains its eclectic decor and warmly lit dining rooms in addition to a new outdoor brick patio cooled by old shade trees and lush greenery. Still Phoenix’s longest running french restaurant, the “new” Coup features a bar made from the remnants of its first home. Coved ceilings and candlelit rooms still abound, and Coup Des Tartes maintains its storied reputation as one of the most intimate and romantic dining experiences in Phoenix.